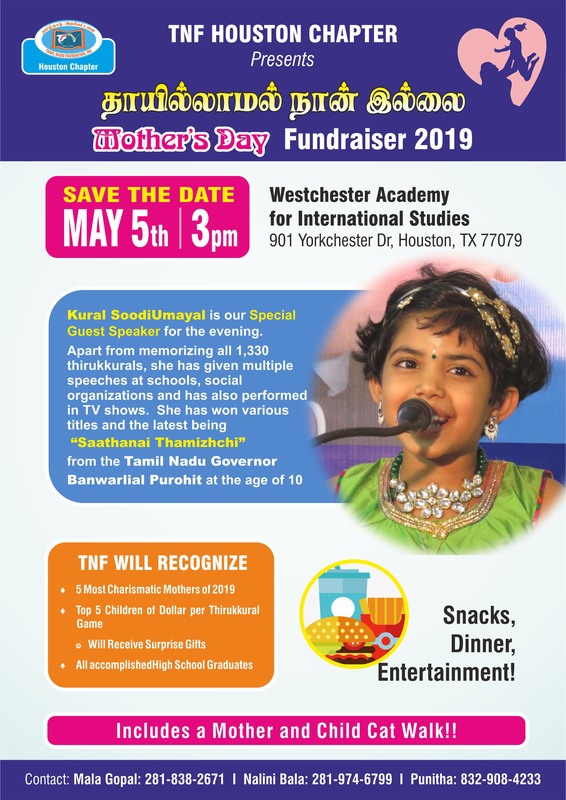 The 2010 charity light music program by Lakshman Sruthi group in Houston generated interest among Houston Tamils to host TNF’s annual convention in 2012. It was the first such Tamil convention in Houston. The convention generated net proceeds of more than $50,000. Part of these proceeds was used to complete an unfinished government school building in Jaganathapuram, Thiruvallur district and to fund the coaching center for +2 students in Kattupakkam village.